"Hyde End House and its One Person Chapel"
Hyde End House, a Georgian building was built in 1807 by a Newbury builder, Mr Edge. Before this was an earlier house which was mostly destroyed by fire in the early 18th century.The building covered a wide area and part of it escaped the fire. 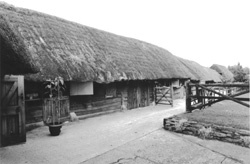 The oldest surviving part, which until recently was connected by a long passageway, is Tudor and has wooden beams and wattle daub walls. This section is presently called the Old Farmhouse and in its grounds is the original walled garden. The former coach house, tack room and stalls has been converted to a private house. Edward Hyde, the Earl of Clarendon (1609 - 1674) was thought to be a collateral relative of this branch but I have come across no evidence of this and think that it is probably a myth. An associated belief was that that his daughter Anne who married the future James II in 1659 used to visit Hyde End before her marriage and inscribed a pane of glass there with her initials using a diamond ring. She was also purported to use the small chapel illustrated which was originally closer to the main house. To illustrate how well these myths were established my grandmother, Marriane Hyde, (maiden name - Armitage, 3rd wife of Captain John Francis Hyde - first two died) after the death of her husband used the surname Clarendon-Hyde before or when she joined the W.F.L. (Womens Freedom League), much to the disgust of the Earl of Clarendon, who saw her name in the paper among a list of jailed suffragettes. He put an advertisement in the 'Times', stating he was no relation to Mrs Clarendon-Hyde, the Suffragette. Further to the above , my father enlisted in the 1st World War with the 14th Battalion AIF as Graham Hill Clarendon-Hyde. The Hill being for his god-father Admiral Hill. It can be noted that Frank Hyde named his son Francis Angerstein Clarendon Rowley Hyde. Fortunately for me my father later dropped the Clarendon prefix. 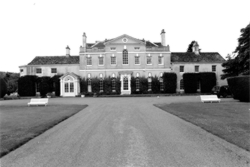 Other properties owned and occupied by this branch of the Hyde family included Denchworth Manor (apparently for several centuries) and Kingston Lisle. The Brimpton Parish Research Association - 1999. 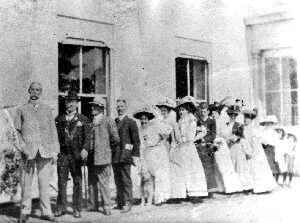 "Addendum No.1 - October 2005"
Jeremy Greenaway emailed me to say that while looking through a family photographic album he across photos of Hyde End House taken approximately in the period 1904-1906. As he had come across this web site he asked if I was interested in seeing them - of course I was delighted. Some are shown below. 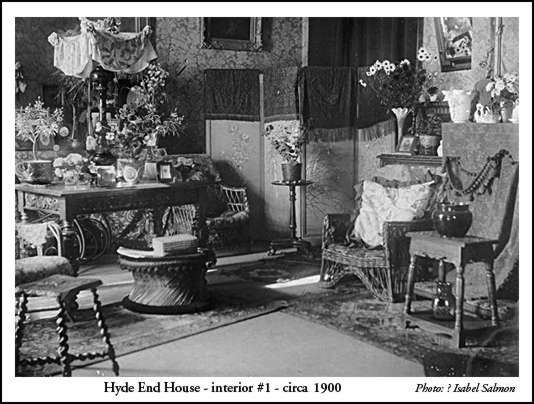 Jeremy's great aunt Isabel Salmon had lived in Hyde End House in the period 1895 to 1905. Her mother had leased the property during this period. It seems that Isabel was one of three children - a sister "Minnie", and a brother Frederick who may have been killed early in WW1. Isabel never married and her 'beau' was also killed in WW1. She died in the 1960's, living nearly 100 years. Mrs Salmon's brother (Jeremy's maternal grandfather), died in the mid-20's shortly after retiring from The Goldsmiths and Silversmiths Company of London. He was one of the managers and the chief designer, responsible for Crown regalia and other high value work. Isabel and 'Minnie' lived from the mid-1920's with Jeremy's grandmother in the family home in Muswell Hill, North London. The house is now the headquarters of the Western Moravian Church. An 'Aunty Sam' had worked as a nursing sister at Barts in London with Jeremy's grandmother. She also had a close companion at Hyde End, one W.O. Lucas - presumed female, but little else known except that she was an artist, working in water colour and oil. 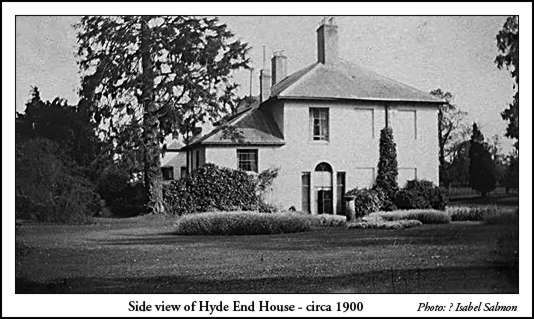 He also wrote "legend has it that in the 18th/early 19th century, Hyde End House was connected with the 'free trade' route between the south and east coasts and used as both a 'safe' house and an entrepot." I think that this is probably true as I remember my father - Graham Hyde - talking about it when I was a child. Jeremy writes: Note the guinea fowl on the path outside the Priest House. 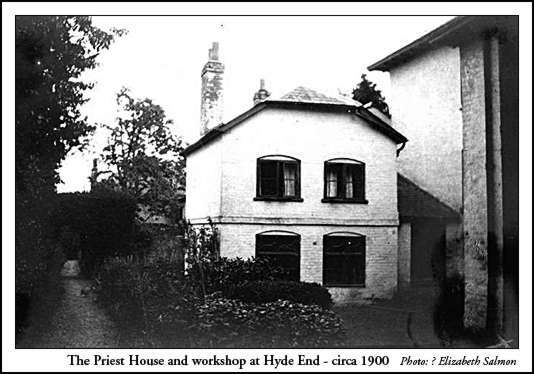 Jeremy originally wrote: What I am intrigued by is, what is our connection with Hyde End House, which I had assumed was connected with the family? Were they tenants? Certainly, some of the furniture I grew up with (Jacobean refectory table, bureau etc) appears in the photos. 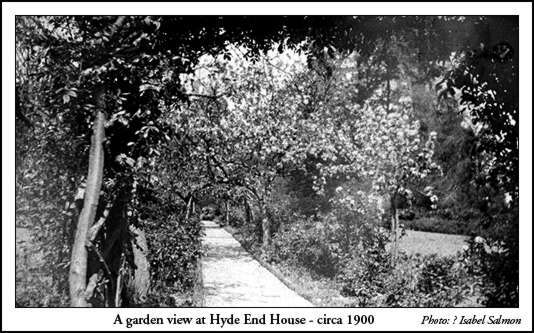 Jeremy writes: Coincidentally, the fruit and flower garden at my family home in Muswell Hill was almost identical to the image with the arbour effect of the fruit trees spanning the path. On the one side there were pears and Cox's Orange Pippins, and the other side had plum trees, damsons and greengages. In the middle was the croquet lawn . . . but of course, dear boy! Not a bad place to grow up in, apart from no hot running water, no heating, V bombs (versions one and two) dropping around the place and occasionally going through the roof . 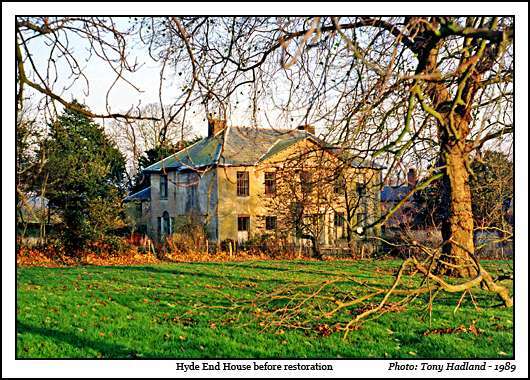 . .
"Addendum N0.2 - Febuary 2007"
Tony Hadland generously supplied me with the above image taken of Hyden House in 1989. Tony appears to have multi-disciplinary interests and his book on Thames Valley Recusants was of particular interest to me. If you type his name into Google there comes up numerous items about him and his works. 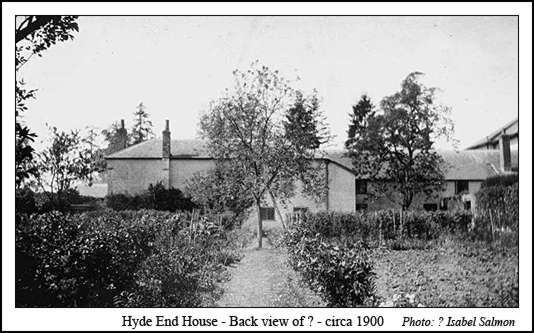 Hyde End House had several owners after its sale in 1917 by Frank Hyde to Mr Arthur Pettit, a mining engineer. After WW2 it was used as a boarding school, but this venture was unsuccessful and the school closed, and the house was left in a poor condition. Fortunately the building was later bought by Christopher and Caro Hacking who restored it during the 1990’s.